The cul-de-sac at the end of Fortune Avenue has been bustling with activity over the last couple of weeks as heavy equipment operators clear the land to prepare it for construction of a speculative office building. 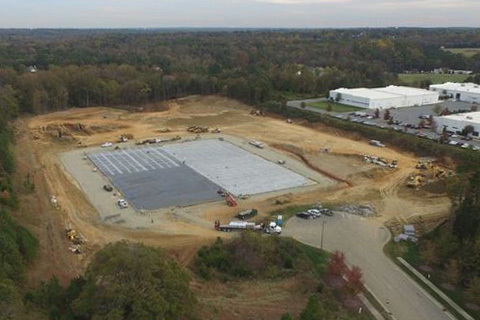 Located at 4540 Fortune Ave. in the International Business Park at Concord, the 75,000-square-foot Class “A” spec office building will help serve a great need for available office space in Cabarrus County. Construction is expected to be completed in late spring 2017. Situated on nearly 20 acres near the busy I-85 and Hwy. 73 interchange, the building will be constructed on Lots 7 and 8 at the end of Fortune Avenue, located in Phase II of the park. It will feature build-to-suit offices and multiple entrances, with the potential to be subdivided. Should a tenant need to expand into another building, there is an available site adjacent to the spec office project. Additionally, the spec building will be delivered in shell condition and ready for a tenant’s specific upfit. 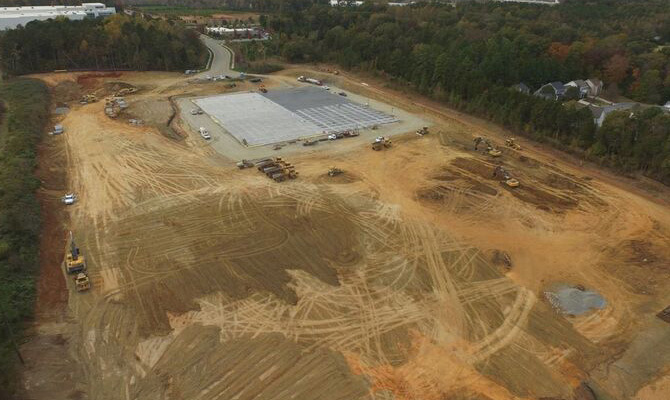 With an expandable parking area, it will be able to accommodate 750 cars, up to 10 cars per 1,000 sq. ft.
Cabarrus County Board of Commissioners Chair Steve Morris said the spec project brings opportunity to Cabarrus County by supporting future and expanding business, while City of Concord Mayor Scott Padgett said he hopes it’s the first of many similar projects. 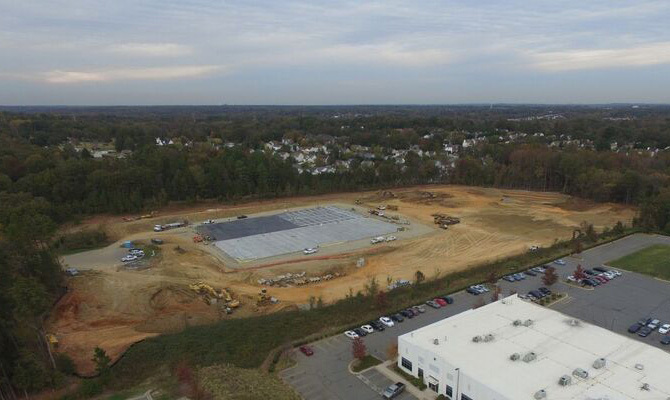 The 4540 Fortune Ave. project is a joint venture between The Nolim Group, CM Black Construction and CESI. To learn more about the Class A office spec building and its features, contact Anne Johnson or Bryan Crutcher with the Charlotte office of CBRE.